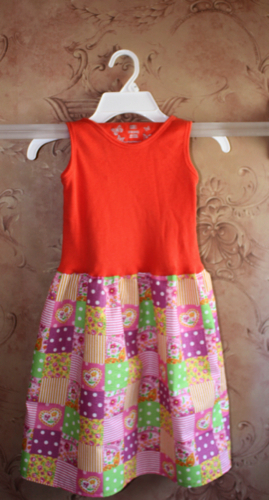 A tank top dress is perfect for summer and takes about 30 minutes to make! It is even great for winter when paired with a turtleneck and tights! This is a great way to use a tank top that is a tad too short (but still fits) or buy one at a yard sale or thrift store for extra savings. 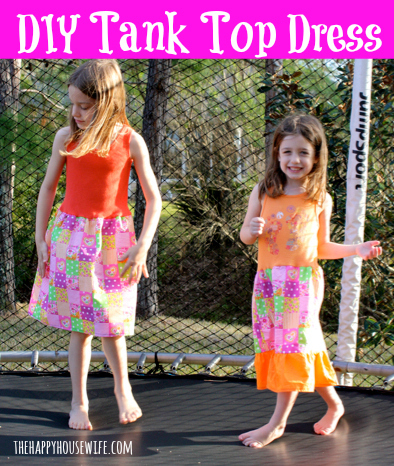 Have your child try on the tank top and decide where you want the skirt to start. Measure from that point to the point where you want the skirt to end. Take that measurement and add one inch. That is your length. 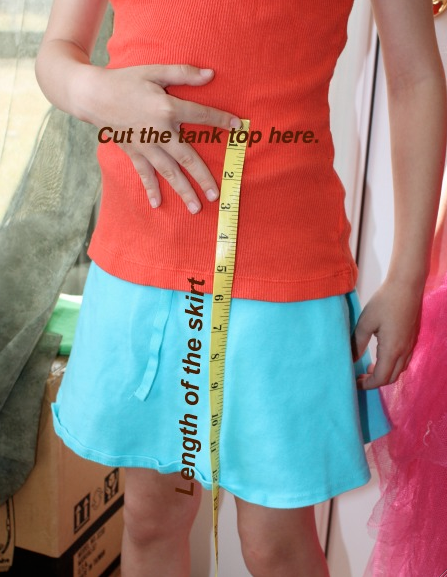 Measure around your child’s waist 1/2 inch above where you want the skirt to start. Double that number and add 1/2 inch. You should now have a length and a width measurement. 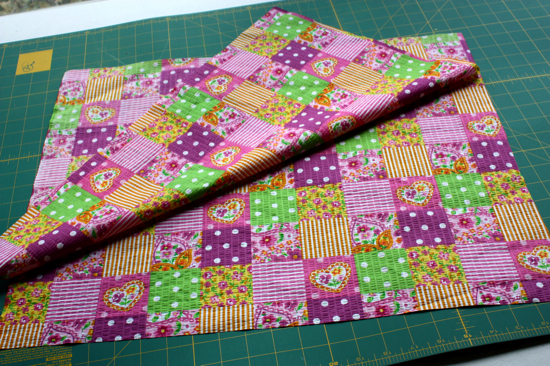 For my daughter the skirt piece was 17 1/2 inches long and 48 inches wide. After you have measured, cut your tank top 1/2 inch below where you want it to end. If your tank top is already really short you might not need to cut it. 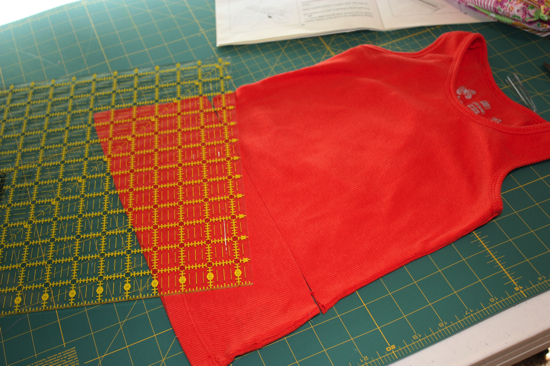 Tank Tutorial Tip: Find a tank top that is not “ribbed” the fabric is very stretchy and can be harder to sew. For my project I cut a rectangle: 17 1/2 by 24 (when the fabric was folded in half). You should now have two rectangles (or squares depending on your measurements). My rectangles measured 17 1/2 by 24. 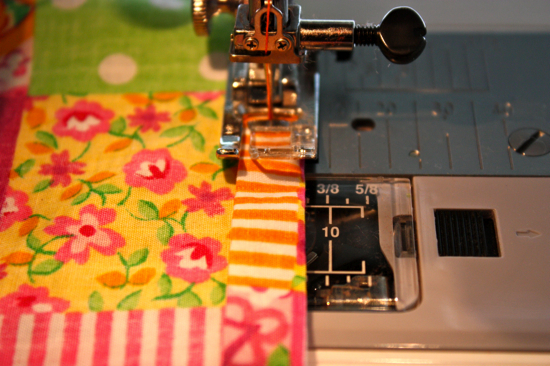 Putting your fabric right sides together, sew up the “length” sides of your fabric. I serged the sides of the dress, but if you don’t have a serger you can use a zig zag stitch. Along the bottom of your skirt fabric fold it up 1/4 inch then press. Fold it again 1/4 inch and press again. This will be your hem. 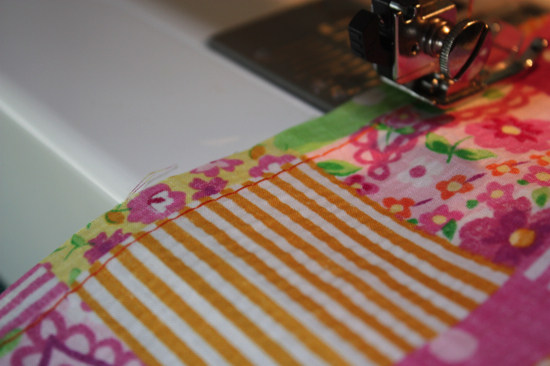 Sew around the bottom of the fabric. 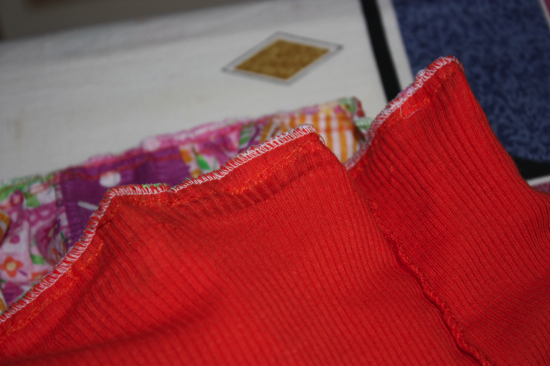 Hem Tip: You can serge the bottom of your fabric then fold up 1/4 inch and hem, but I think folding it twice looks neater. 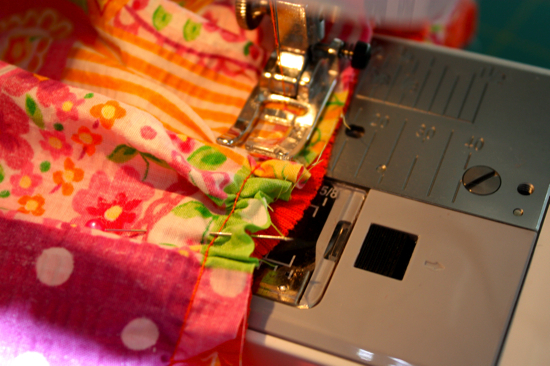 Sew a gathering stitch around the top of your skirt piece, 1/4 of an inch from the top. Don’t tie off either end. Pull the thread so you get a nice gather. Don’t worry about the size, you’ll adjust it when you pin it to the tank top. 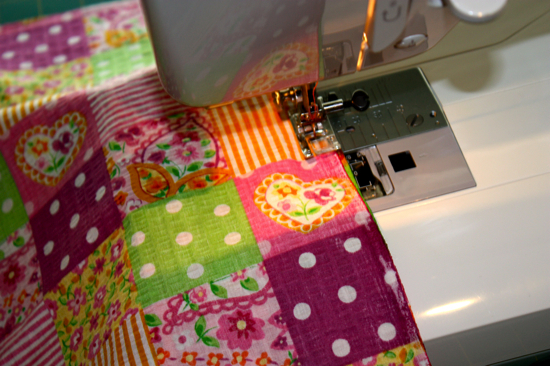 Gathering Stitch Tip: Don’t forget to set your sewing machine back to a straight stitch after you sew the gathering stitch. Attaching the skirt to the tank top. Take your skirt and flip it inside out. 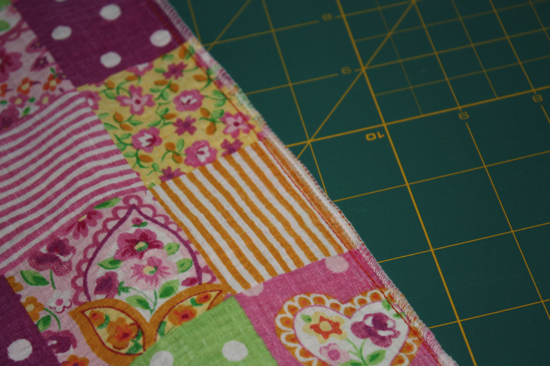 Lay it on the table with the gathered stitch closest to you. Take your tank top and put in inside the skirt. The bottom of your tank top should be closest to you. The right side of the tank top and the right side of the skirt should be facing each other. Find the side seam on the tank top and the skirt on each side. Match them up and pin them together. Then pin together the rest of the tank top and skirt. 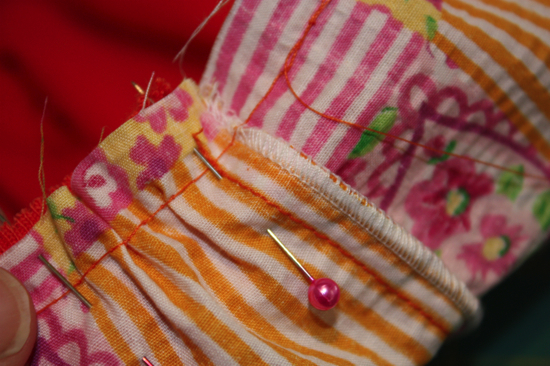 If the tank top is really stretchy pin it every inch or so to keep it from stretching while you are sewing. Sew together the skirt and the tank top. Use your gathering stitch as a guide and sew 1/4 inch below your gathering stitch all round the skirt to attach the skirt to the tank top. 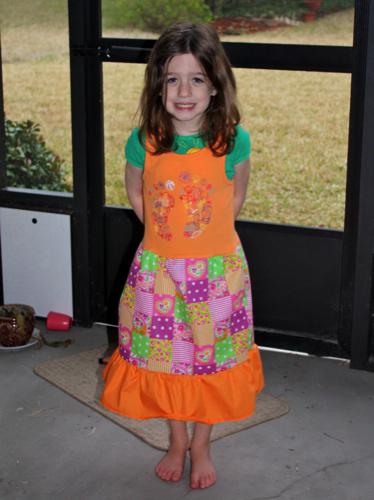 Zig zag or serge around the waist seam to keep the fabric from falling apart in the wash.
You can add ribbon, ruffle or ric rak to the skirt, but my daughter wanted it plain. Similar dress with ruffle and paired with a t-shirt. 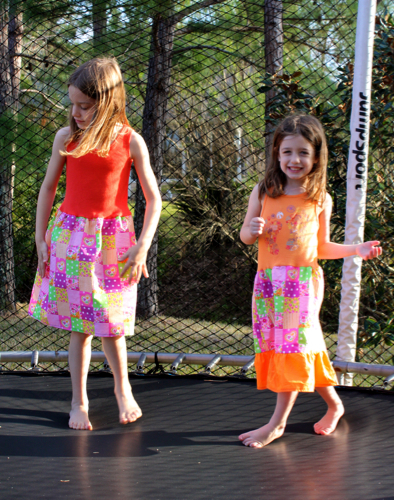 These dresses make great play clothes! i do not sew but this looks easy enough for me to tackel. I don’t have any girls so I am wondering if this could be adjusted for teen age girls or even myself. Can anyone out there tell how I would do these adjustments? You would just need to measure the size around your waist and the appropriate length. And add for seam allowance. Okay now you make me want to pull out my sewing machine!!!! 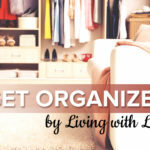 Thank you – this looks like a perfect solution for my daughter! My 4 year old is very tall for her age and is in size 6 dresses so that they are long enough to reach her knee but pretty big up top. With this step by step guide I think I can tackle this project for some really nice custom dresses for this summer. Have you tried it with a t.shirt instead of a tank top? Thank you so much for sharing this! I have not tried a t-shirt, but the tutorial should be exactly the same. I’m a beginning beginner at this type of thing .. so much so that I don’t own a sewing machine. 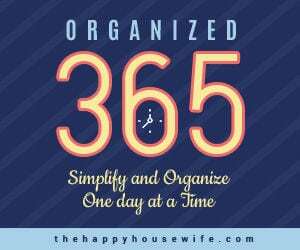 Do you have any recommendations? Is it ok to buy a used machine? What should I look for? What a fantastic idea!! 🙂 Thanks for sharing! I love this! We live in hot Savannah so this is perfect for my 5 year old. She can help too and she will love that 🙂 Thanks for sharing. Thanks for the tip! I usually do, but for some reason did not with this dress. Probably the taking pictures of every step threw me a bit, lol! Can I make a suggestion? 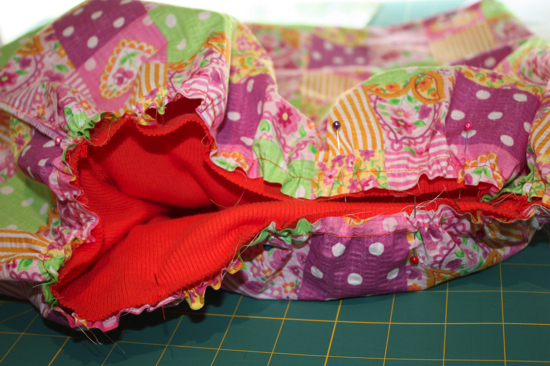 It is easier to do if you sew the skirt to the top without cutting it first. 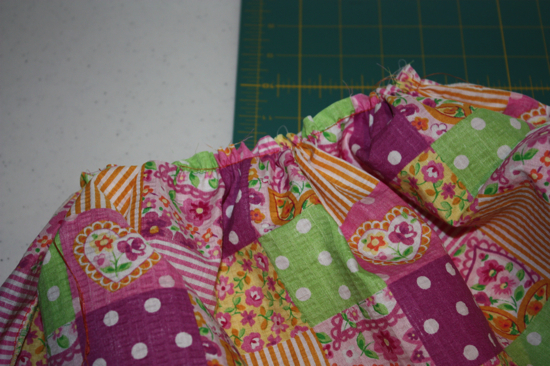 If you wait to cut the length from the top, AFTER you sew the skirt to it, it won’t stretch nearly as bad. 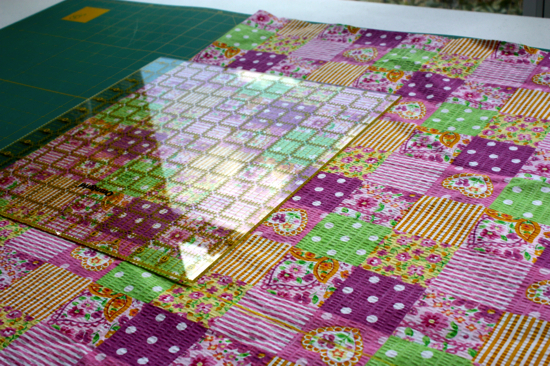 I have 3 smalll granddaughters and I use this when I make them t-shirt dresses. Now I will use it on tank top dresses. Thanks for the tip. I actually tried sewing it first without cutting, but there was so much length to the tank top the fabric was a bunched mess. I can definitely see it working to sew then cut if you had a shorted tank top. Thanks for the great tip! I should have mentioned that in the post. I wondered if you found that the dress was hard to get into since there is no give at the waist level once you sew the top to the skirt part. 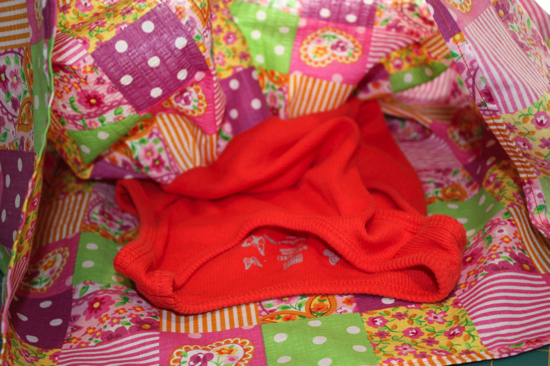 How could you alter the process so that the child could put slip the dress over the head and pull it down. Maybe I missed something in the directions. Any help you could offer would be greatly appreciated. I used this idea years ago when my girls were young (youngest is now 42), only instead of using tank tops I used t-shirts. I didn’t cut the t-shirt off, just added fabric to the bottom. I also made maternity tops and dresses by cutting the top off to about 11 to 12 inches, then added gathered fabric. Of course, women today don’t worry about maternity tops as much. Seems that they like the tight, show off the baby, style. I bought a couple of these type of dresses as a craft fair for my daughters last year. Looking at them, I realized I could make them too – but I wanted a pattern or a kind of tutorial. This post is perfect! Thank you!